Airbags are one of the most important safety features in motor vehicles. The implementation of airbags has likely saved millions of lives, but they only work when manufactured correctly. 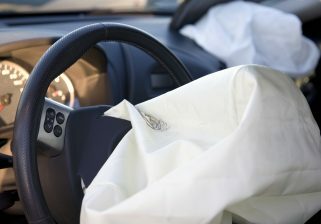 Airbags are the most commonly recalled motor vehicle component part, and they have sadly proven fatal for some drivers. Manufacturers have a responsibility to produce safe and effective airbags, and when they fail to do so, consumers pay the ultimate price. There are a number of potential airbag defects, and all of them are extremely dangerous. Some defects can cause the airbag not to deploy in the event of an accident. This can happen when the sensors that detect collision malfunction, causing the airbag not to deploy. Drivers and passengers can suffer severe head injuries without the protection of an airbag. Airbag failures also include instances when airbags deploy at the wrong time. Some defective airbags have deployed without a collision, causing pieces of metal and plastic to penetrate drivers and other vehicle occupants, causing serious injuries. When airbags deploy suddenly and unexpectedly, they can cause drivers to lose control of their vehicles. When a manufacturer or federal agencies determines an airbag is defective, they issue recalls to consumers to warn of the dangers. Unfortunately, manufacturers and federal agencies often learn about defects after the injury or death of an innocent consumer. If you suspect a defective airbag caused or contributed to your car accident, you need to immediately contact an attorney. Car manufacturers will try to minimize your claim and it will take an experienced products liability lawyer to properly investigate the claim and fight the manufacturer. Holding manufacturers responsible is incredibly important because airbags are mass-produced, meaning millions of other drivers could also be at risk for serious injury or even death. At Sahadi Legal Group, we offer free consultations with no upfront cost for working with us. We work on a contingency fee basis, meaning you won’t owe us anything unless we help you recover compensation for your injuries. We know victims have many questions, and we’re here to answer them and pursue the fullest compensation. Call our airbag defects lawyers today to schedule a consultation.